The government announced the terms of the referendum today. THE GOVERNMENT HAS approved the holding of a referendum around changing the waiting times for a couple seeking a divorce in May of this year. The referendum will ask voters on whether to remove or keep the constitutional provision on how long a couple must live apart before they are legally allowed to get a divorce. Cabinet agreed to hold the referendum in May, with Irish people to vote on the constitutional amendment when they go to the polls for the European and local elections. Currently, couples must have lived apart for four years out of the preceding five before they can initiate divorce proceedings. Arts Minister Josepha Madigan spearheaded efforts in 2017 to reduce the waiting time for a divorce from four years to two. It was decided that a referendum would need to be held to allow this to happen. Cabinet first approved the holding of the referendum in December of last year. The government said that the referendum will ask voters to decide whether to remove any minimum time limit of living apart before a couple are allowed to get a divorce. Instead, the “living apart” period will be dealt with ordinary legislation brought forward by the government. If the referendum is passed, the government said that it would bring forward a bill which would amend the Family Law (Divorce) Act to reduce the minimum period to two years during the previous three years that a couple must have lived apart. “I am pleased to have received the support of my Government colleagues to bring forward this important referendum and to allow the people of Ireland to have their say on an issue that unfortunately affects families across the country,” Minister Flanagan said in a statement. “Ireland has one of the lowest divorce rates in Europe and that is to be welcomed. Sadly, however, some marriages do break down irreconcilably, causing immense sadness and stress for all concerned. 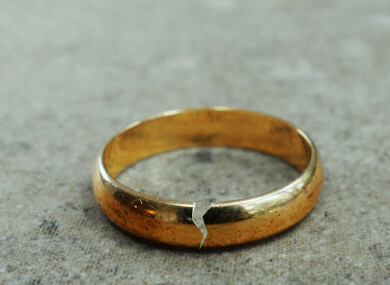 The Government wishes to ensure that the process for obtaining a divorce is fair, dignified and humane and allows both parties to move forward with their lives within a reasonable timeframe. Flanagan confirmed that other constitutional protections dealing with divorce would remain in place if the referendum is passed. These include the requirements that there be no prospect of reconciliation and that proper provision exists or will be made for spouses and children in the event of a divorce. As well as this, it will remain the law that only a court can grant a divorce. Voters will also be asked whether they want to replace a separate part of the constitution with a section that will allow the Oireachtas to legislate for the recognition in the Irish State of a divorce obtained in another State. A referendum commission will not be set up to deal with the divorce referendum in May. Email “Divorce referendum: Voters will be asked whether to delete 'living apart period' from Constitution”. Feedback on “Divorce referendum: Voters will be asked whether to delete 'living apart period' from Constitution”.